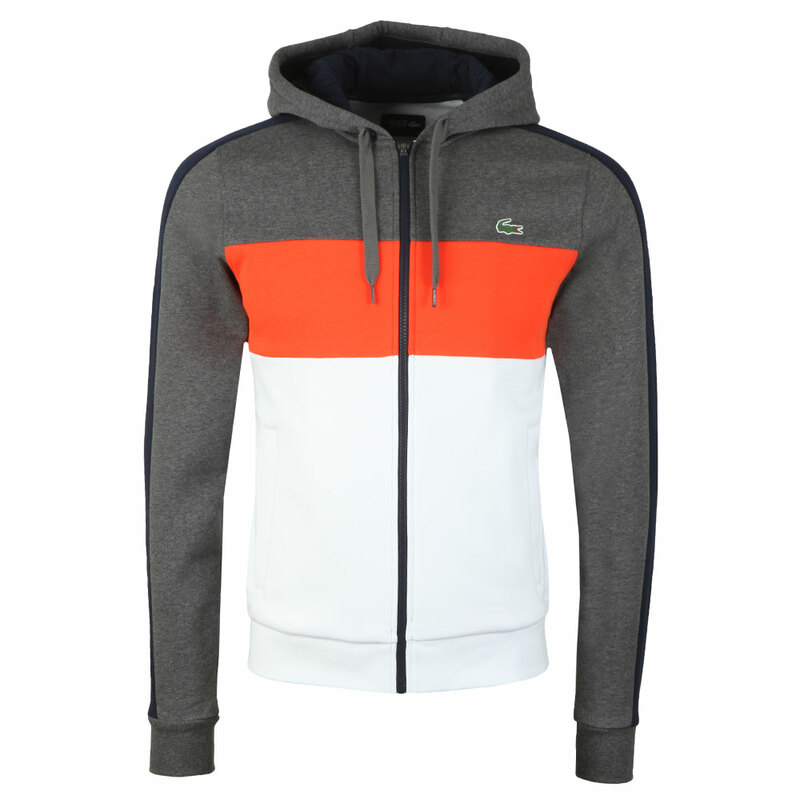 Lacoste Sport Full Zip Hooded Sweat ion Gris Chine/Bleu Marin. 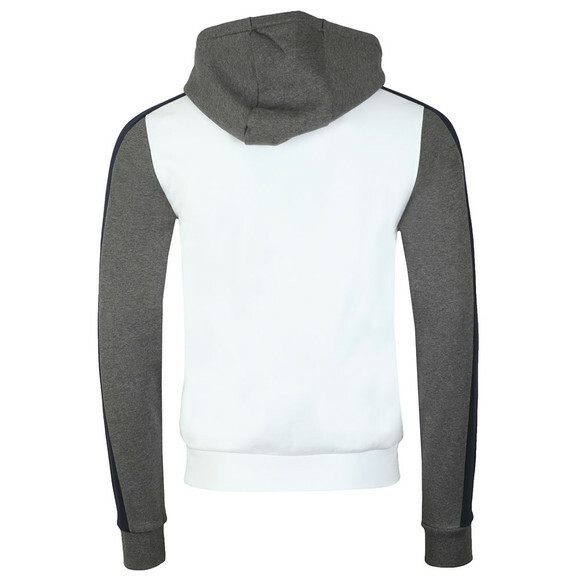 A full zip hoodie in a four-way colour block design. Zip open pockets are added to the waist whilst a chunky drawcord can adjust the hood. 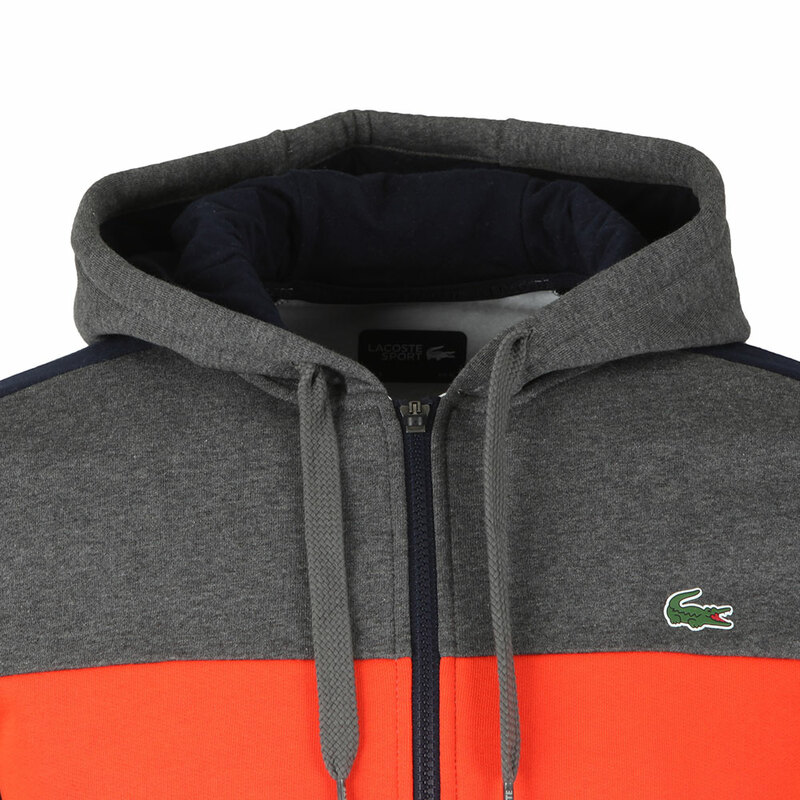 A small crocodile logo sits on the left of the chest.